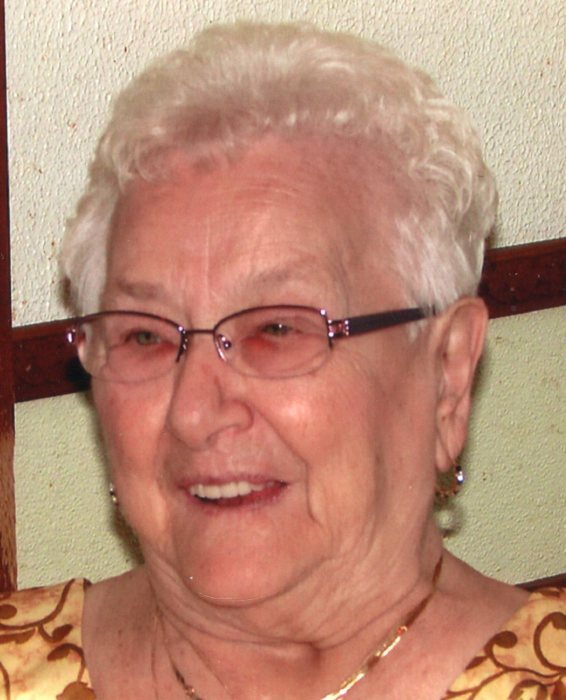 Obituary for Martha (Recupero) McMasters | Clawson Funeral & Cremation Center, Inc.
Martha (Recupero) McMasters, 94, of Leechburg, PA, passed away on Friday, January 25, 2019 in Belair Health & Rehabilitaion Center in Lower Burrell. A daughter of the late John Recupero and Tillie (Guminey) Recupero, she was born September 18, 1924 in West Kittanning, PA.
Martha was a homemaker and member of Christ the King Parish in Gilpin Twp. She enjoyed bingo, playing cards and gardening. Survivors include her son, John E. McMasters Jr. of Plainfield, IL; three daughters, Beverly McMasters-Turner (Wayne) of Amelia, VA, Maryann McMasters Ellis of Leechburg, Vickie McMasters Callen (Larry) of Leechburg; 10 grandchildren; 18 great-grandchildren; 8 great-great-grandchildren; a brother, Angelo Recupero of Kittanning; two sisters, Genevie Fox of Kittanning, Alice Marshall of Youngwood; and numerous nieces and nephews. In addition to her parents, she was preceded in death by her husband, John E. McMasters on January 31, 2002; a daughter, Linda McMasters Colanduoni in 2015; a son, Ronald “Sonny” McMasters in 2016; five brothers, Frank, Vinnie, John, Anthony and Joseph Recupero; and two sisters, Josephine Kline and Stella Recupero. Friends welcomed by her family on Wednesday, January 30, 2019 from 2-4 and 6-8 PM at Clawson Funeral & Cremation Center, 170 Main Street, Leechburg (724-842-1051). A Blessing Service will be held at 10 AM on Thursday, Jan. 31, at the funeral home, with the Rev. James H. Loew, O.S.B. officiating. Interment following at Greenwood Memorial Park, 104 Melwood Rd., Lower Burrell.